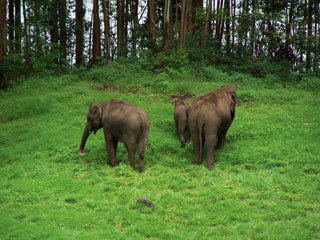 This is an absolutely unique and wonderful place in the state of Kerala. Yes, it has all the glories of the state and the verdant greenery too, but it also has some very unique features that make Varkala one of the places that you definitely need to visit if you are in Kerala. 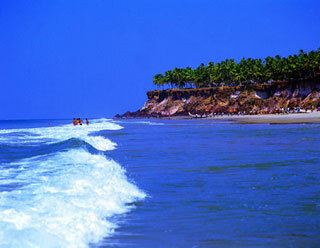 is the only place in southern Kerala where cliffs are found adjacent to the Arabian Sea. 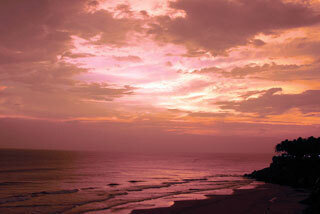 The rest of the coast of Kerala is relatively plain and this makes Varkala stand out among all the other places. There are also numerous sprouts and spas on the side of the cliffs and that makes this place absolutely wonderful to be in. Varkala is also famous for the 2,000-year old Janardana Swami Temple which is an important Vaishnavaite shrine in India and is often referred to as Dakshin Kashi. This is one of the places that is truly very important for Hindus all over the world and is one of the oldest temples that exist today. Varkala is also famous for the 2,000-year old Janardana Swami Temple which is an important Vaishnavaite shrine in India and is often referred to as Dakshin Kashi. It also has a bell from a shipwreck that happened here. This temple has lots of legends and is considered one of the holiest places in this land without a doubt. The Kappi Lake is another place that gives you the essence of serenity in this place. The Anjengo is a Dutch fort here that will tell you some tales of a long ago forgotten history. 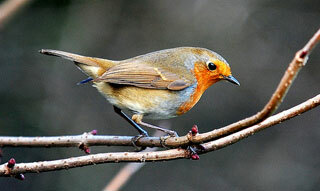 The Varkala tunnel and lighthouse are the two other places which will catch your fancy. This is one place that, with is rocks and beautiful sea will truly take your breath away. 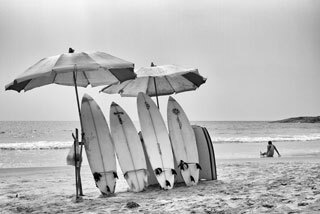 "Varkala Beach, also known as Papanasam beach is a beach in Varkala, Thiruvananthapuram, Kerala, India, along the Arabian Sea, part of the Indian Ocean. The word Papanasam means wash away sins. It is believed that a dip in the waters of Papanasam Beach washes away all the sins in one's life.Varkala beach is the only place in southern Kerala where cliffs are found adjacent to the Arabian Sea. 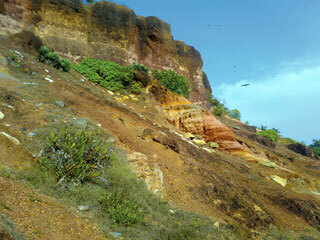 These tertiary sedimentary formation cliffs are a unique geological feature on the otherwise flat Kerala coast, and is known among geologists as Varkala Formation and a geological monument as declared by the Geological Survey of India. There are numerous water spouts and spas on the sides of these cliffs.The beach is a haven for sun-bathing and swimming. The evening views of the sunset are worth lingering over. 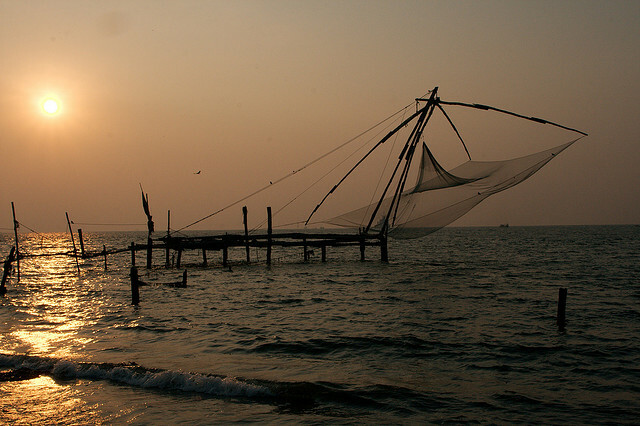 There are several small restaurants and snack shops near and around Papasnanam beach, which attracts the maximum visitors both for leisure as well as for religious reasons." 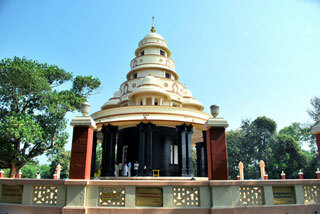 "Janardana Swami Temple is a 2000 year old temple situated in Varkala. It is also known as Varkala Temple. Janardana Swami is a form of Lord Vishnu. 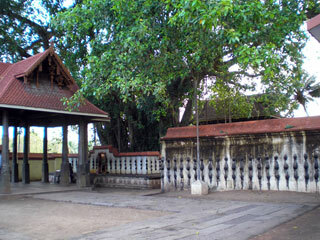 It is a very well known temple in Kerala about 10.9 km west of Kallambalam on NH 66 near sea, 25 km north of Thiruvananthapuram and 2 km from Varkala-Sivagiri Railway station. It is situated near the Arabian sea shore.It is referred to as Dakshin Kashi (Benares of the south).\nThe temple is located close to the Papanasam beach, which is considered to have medicinal properties since the waters wash the nearby medicinal plants. 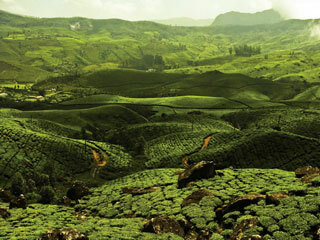 It is also an important Ayurveda treatment centre. The temple has an ancient bell removed from a shipwreck, donated by the captain of the Dutch vessel which sank near Varkala without causing any casualties." "Sivagiri is a pilgrimage centre in Varkala, India where one of its social reformer and sage Sree Narayana Guru's tomb is located and place where guru was enlightened and got the salvation. 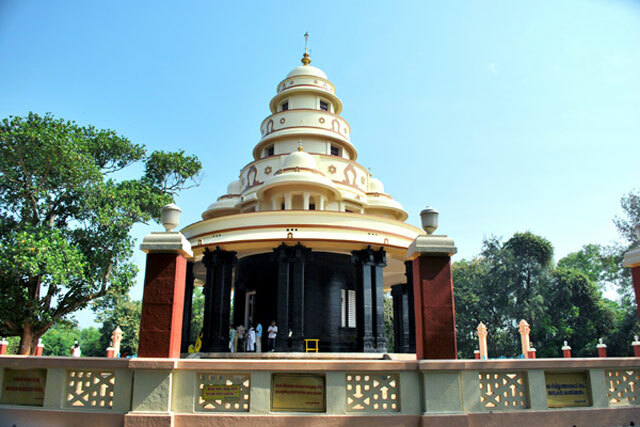 The Samadhi (the final resting place) of the Guru here attracts thousands of devotees every year during the Sivagiri Pilgrimage days 30 December to 1 January.\nThe Sivagiri Mutt, built in 1904, is situated at the top of the Sivagiri hill near Varkala. Even decades after the guru died here in 1928; his samadhi continues to be thronged by thousands of devotees, donned in yellow attire, from different parts of Kerala and outside every year during the Sivagiri Pilgrimage days - 30 December to 1 January.\nThe Sivagiri Mutt is also the headquarters of the Sree Narayana Dharma Sangham, an organization of his disciples and saints, established by the Guru to propagate his concept of 'One Caste, One Religion, One God'. The Guru Deva Jayanti, the birthday of the Guru, and the samadhi day are celebrated in August and September respectively every year. Colourful processions, debates and seminars, public meetings, cultural shows, community feasts, group wedding and rituals mark the celebrations." 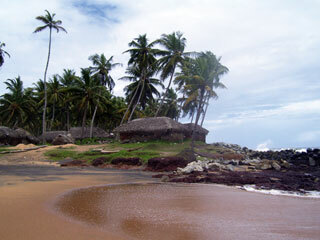 "Ponnumthuruthu is an island which is situated about 12km south of Varkala. 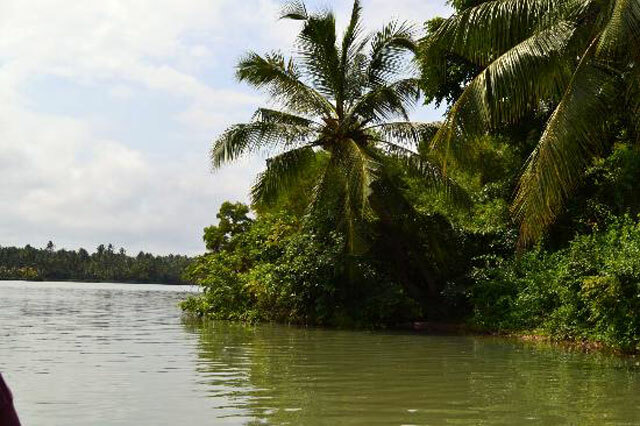 You can board a country boat from Nedunganda and take a tour through the backwaters for about 30 minutes to reach Ponnumthuruthu. 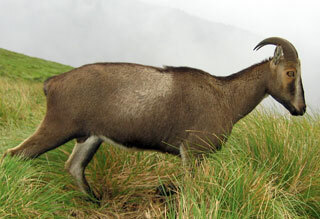 \nPonnumthuruthu, the name literally means Golden Island. Legends say that the queens of Travancore Royal Family used to hide their cache of gold and ornaments on the island in order to keep it safe and hence it obtained the name, Ponnumthuruthu. 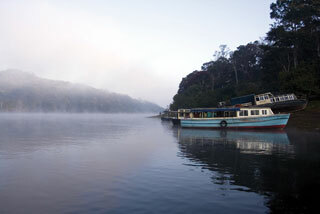 \nThis lush island is a perfect getaway for those who seek a break from the hustle and bustle of the urban life. "